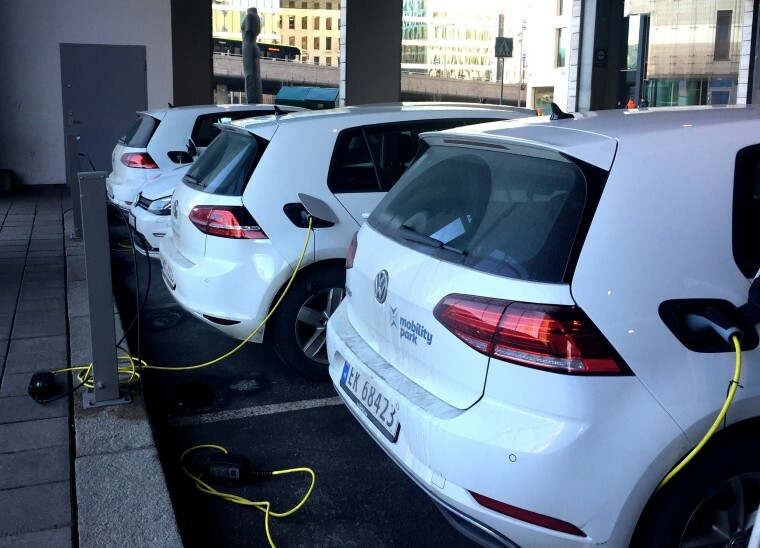 Norway exempts battery-driven cars from most taxes and even offers free parking. Almost one-third of new cars sold in Norway last year were pure electric, a new world record as the country strives to end sales of fossil-fueled vehicles by 2025. The independent Norwegian Road Federation said on Wednesday that electric cars rose to 31.2 percent of all sales last year from 20.8 percent in 2017 and just 5.5 percent in 2013, while sales of petrol and diesel cars plunged. "It was a small step closer to the 2025 goal" — when Norway's parliament wants all new cars to be emissions-free — said Oeyvind Solberg Thorsen, head of the NRF. But he cautioned that there was a long way to go since two-thirds of the 148,000 cars sold in 2018 in Norway were powered by fossil fuel or were hybrids, which have both battery power and an internal combustion engine. The sales figures consolidate Norway's global lead in electric car sales per capita, part of an attempt by Western Europe's biggest producer of oil and gas to green its economy. The International Energy Agency, using a slightly different yardstick for electric vehicles that includes hybrids that can be plugged in, showed Norway's share at 39 percent in 2017, far ahead of second-placed Iceland on 12 percent and Sweden on six percent.